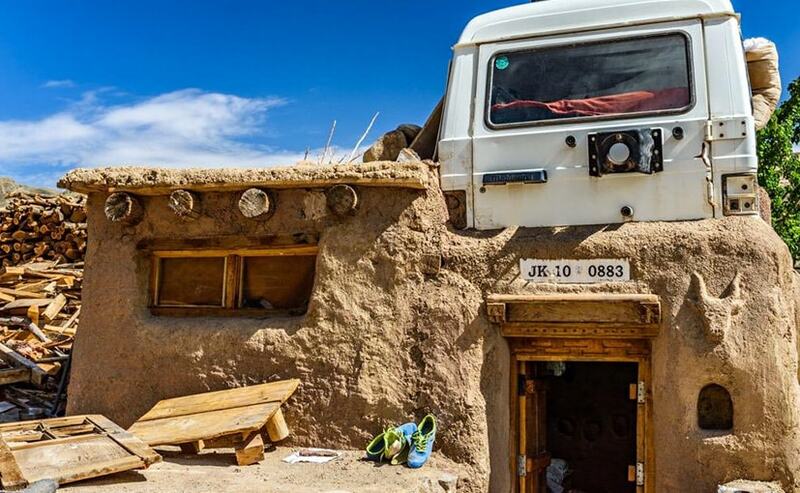 There's A Home With A Mahindra Jeep Roof In Ladakh! 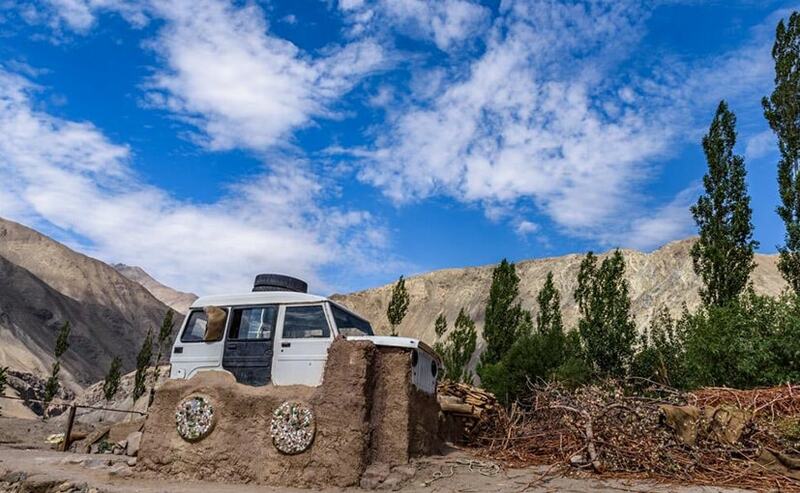 Sonam Wangchuk's institute in Ladakh again shows us how to make use of resources and this time it's a Mahindra jeep converted into the roof of a home. The recycled roof has been used at one of the houses at Sonam's Himalayan Institute of Alternatives. In today's day and age where it's more important than ever to recycle and use our resources more efficiently, here's a story that certainly brings some fun and innovation to the whole concept of recycling. In what is otherwise a home in Ladakh, has now been made famous thanks to something very different about its appearance. The home is using the body of a Mahindra Marshall as its roof, not to forget taking a completely different route of recycling auto components. The images were shared by Mahindra & Mahindra Chairman, Anand Mahindra, who took to Twitter to congratulate its creator Soman Wangchuk. The latter is an engineer, innovator and educator, and also the inspiration for the character of Phunsuk Wangdu in the movie 3 Idiots. The recycled roof has been used at one of the houses at Sonam's Himalayan Institute of Alternatives where learners are encouraged to undertake research and creative efforts. 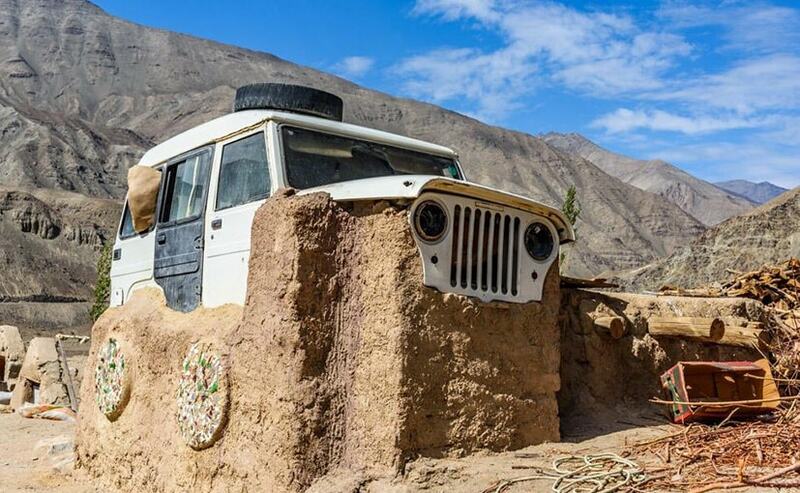 The Jeep was instrumental in educational campaigns in the remotest frontiers of Ladakh. The otherwise simple structure stands out with the body of the Mahindra Marshall SUV. Taking to Twitter, Mr. Mahindra wrote, "A friend sent these pics from Sonam Wangchuk's Himalayan Institute of Alternatives, Ladakh. Recycling a Mahindra car into a home roof. A way of life at the Institute, where nothing gets discarded." While the tweet has garnered a lot of praise from social media users, it also reached Sonam Wangchuk as well, who not only responded to the tweet but also elaborated on the story behind the innovation. Wangchuk wrote, "Dear Mr Anand Mahindra the Jeep you tweeted has a lovely story. It was instrumental in educational campaigns in the remotest frontiers of Ladakh... which finally took the matriculation results from 5% to 75%." The Marshal was the hardtop version of the Commander off-roader. The Mahindra Marshall apparently served the institute between 1997 and 2007, before it started serving as a roof for the home. The Marshal was the hardtop version of the Commander off-roader, which in turn was the long wheelbase version of the MM540. The SUV was underpinned by a derivative of the Jeep CJ platform. The innovation is also a gentle reminder on how we can use old vehicles in more effective methods. With the government wanting to scrap vehicles older than. 15 years, here's one way to preserve something that's close to your heart.